For the construction of Ertsmyra electrical substation, Oglaend System delivered cable ladders and cable trays to most rooms and culverts in the facility. The station will be an integral part of the NordLink interconnector between Norway and Germany. “Only Oglaend System could guarantee the specified rigidity requirements. We have used Oglaend System’s products before. The products are tested and are able to withstand the weight, while other suppliers’ products could potentially bend,” Site Manager for Apply TB, Roar Eide says. A tailored solution was developed for the basement of the facility, where cable ladders had initially been specified. But due to radiation concerns it was decided to use unperforated cable trays instead. 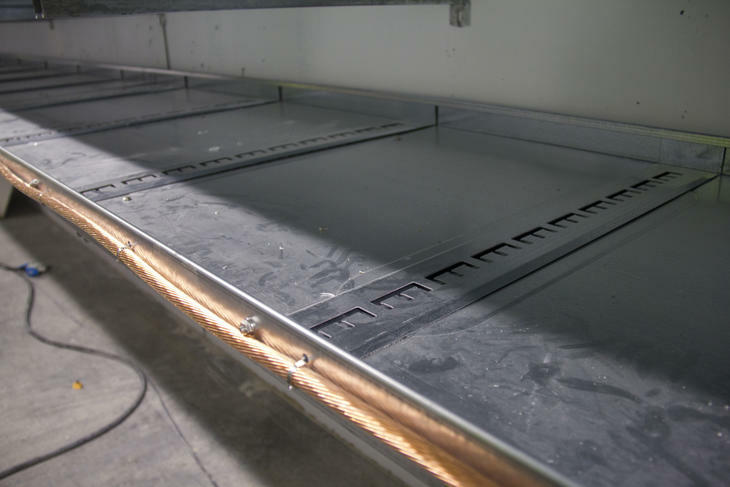 The cable trays were custom-sized, 60 mm side rail height and a width of 800 mm. A brand-new cable tie fixing was developed to be coupled with the trays. For the transitions in corridors special risers were designed specifically for this project. “The challenge is to have a system that is easily accessible. 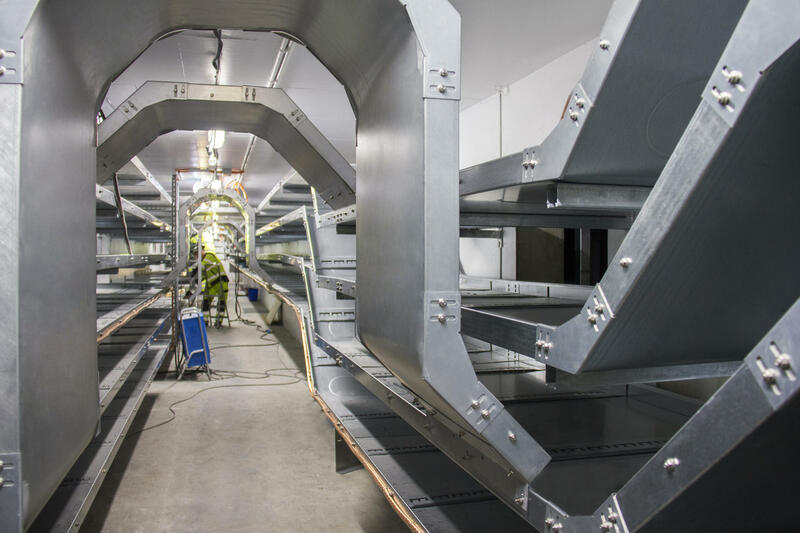 A good solution has been installed in the basement, and it is better with regard to HSE, because you can pull cables in an upright posistion,” Site Manager for Statnett, Knut Birkeland explains. Apply TB is responsible for the installation of all multidiscipline support systems for the Ertsmyra project. The electrical substation has classification 2, and in accordance with the requirements for safety, all mounted cable ladders and cable trays have been grounded. Oglaend System’s products are easy to work with, because everything is angled. We have contracted workers with offshore background who are familiar with Oglaend System’s products from that industry. - Project Manager for Apply TB, Gaute Oven. In February 2018, Apply TB started installing our multidisciplinary support systems and finished by the end of the year. Constructing a new electrical substation comes in relation to the establishment of a new interconnector between Norway and Germany, called NordLink. The subsea power cable is over 500 kilometres long and will run between Tonstad in Norway and Wilster in Germany. It has an expected capacity of 1400 MW. The Ertsmyra facility is intended to run on static synchronous compensator (STATCOM) in 2019, while cables will be connected in 2020. The electrical substation will convert the current from alternating current to direct current, before it is transmitted through the subsea cable. In Germany a electrical substation will convert it back to alternating current again. By doing so, it ensures minimised power loss during transmission. The Ertsmyra project also plays a significant role in Statnett’s Western Corridor project. Statnett is upgrading the main grid in south-western Norway from 300 kilovolts to 420 kilovolts. An increase in capacity means that the grid can contribute to improving reliability of power supply and secure interconnectors. Upgrade works are set out to be gradual until final completion in 2021.